For a while only one retailer had the Oeuf Sparrow cot in walnut, and that was no help to Australians because it was in the US. Fret no more, this stunner is now available here! 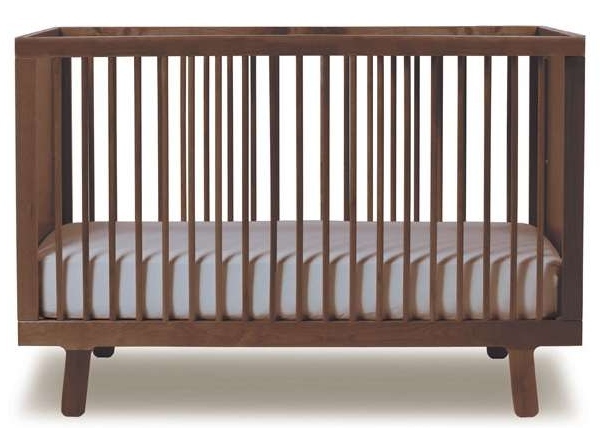 Kido Store is the exclusive Australian stockist for this colour of the divine Oeuf Sparrow cot. This shade of timber has taken the decor world by storm in recent times and now you can have a slice of the Oeuf walnut action! We let you know when the Sparrow collection was launched in Australia in January 2009 and you can compare this model cot with others on the market using our great Cot Chooser. Get one from Kido Store for $1199 plus shipping. Add the toddler bed conversion kit for $329.